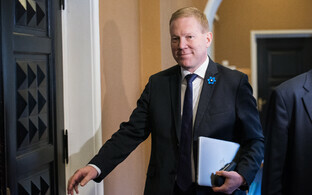 Enterpise Estonia reported on the level of success of its national brand for Estonia on Tuesday, including how well its so-called brand toolbox has been adopted. 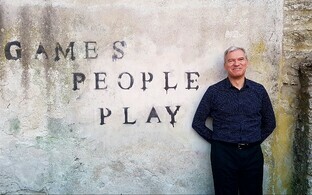 While private businesses still seem to prefer Dutch place branding expert Peter Kentie's EST-concept, Enterprise Estonia's branding is used mainly by the state as well as in campaigns cross-funded with public money. 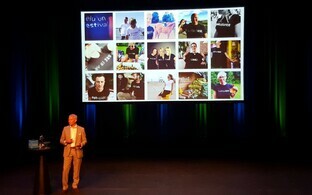 When Enterprise Estonia's own competition for a new national brand concept failed in 2015-16, an alternative devised by award-winning Dutch branding expert Peter Kentie (PSV Eindhoven, Eindhoven city brand) got a lot of attention, though the local marketing scene attached little importance to it at first. This changed when the idea, based on the use of the letters EST in different contexts, quickly became very popular. But despite the great echo and companies' immediate adoption of the idea in their own campaigns and branding, Enterprise Estonia assigned only a minor role to it in their own concept. Communication strategist Daniel Vaarik, who also worked with the team behind Enterprise Estonia's brand concept, justified this approach again on Tuesday, saying that "The EST-concept was a good idea, but it was lacking a broader background." Still, to date they haven't managed to repeat Kentie's feat, with their own concept mainly applied by state institutions and trade associations, but not private businesses or the broader public. Analyzing what might have gone wrong in the introduction of Enterprise Estonia's own national brand, Vaarik said that it had simply been introduced too early, at a stage where it wasn't quite ready. The design and approach of Enterprise Estonia's brand was met with ridicule and abuse. 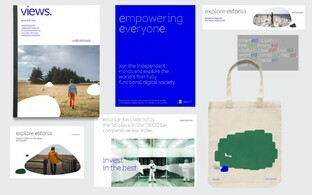 Criticism at the time was very diverse, with people disagreeing with the brand's visual style as much as its basic claims, built mainly on Estonia's already established reputation as a digital pioneer, its smart people, and its nature. In the eyes of many, this collided with the fact that Estonia had fallen behind in the relevant international development rankings, and that at the time the brand went live an environmental debate was already in full swing, including criticism of Estonia's forest management policy, which many feel allows for excessive logging destroying the country's natural environment. Vaarik said that any brand necessarily remained abstract to a degree, which made it difficult to assess how it is received. 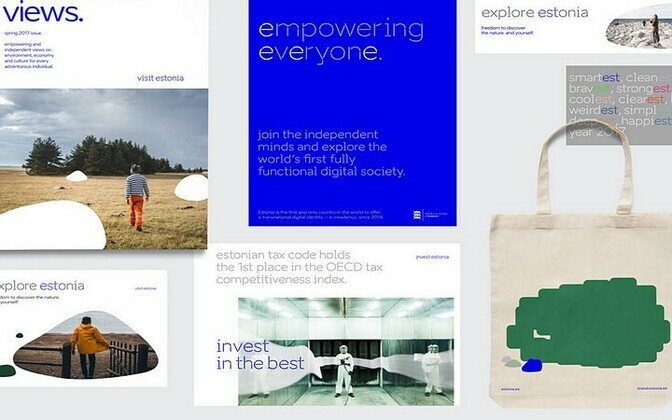 When part of the visuals of Enterprise Estonia's new brand became the focus of public abuse, the fund simply decided to drop those details in order to avoid the whole being dragged down by one of its small parts. Between Aug. 1 last year, when the brand toolbox was made available to users online, and the end of 2017, it had 3,840 unique visitors. Estonia.ee had 90,365 unique visitors. The majority of visitors are located in Estonia, the United States, and the United Kingdom. There are 19 websites that are using the brand with altogether some five million unique visitors, Enterprise Estonia's presentation highlighted. The one with the largest number of visitors is that of the E-Residency program, which had roughly half a million unique visitors between May and December last year. The program intensified its own advertising and switched to a more professional approach over the same time, which may have contributed to that number. More than 60 videos were created to carry the brand, the most successful being the "Stressbuster," which garnered 1.2 million views on Youtube. The toolbox is used the most by Estonian industry and trade associations at trade fairs they attend. 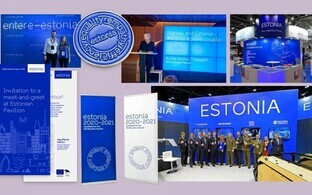 In plenty of cases, this means a trade fair presence actually set up by Enterprise Estonia. In 2017, this was the case with 29 fairs. The companies using the Estonian booths at those events, like the Estonian Defence Industry Association or food producer Salvest, are happy with the brand and its materials. 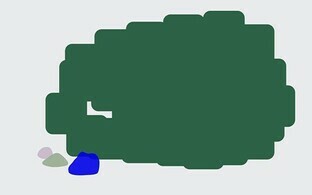 The key to success lies in the repetition of one single concept, they think, and the new brand is slowly sinking in. The Ministry of Foreign Affairs is also happy with the toolbox, and they also use the brand's Aino typeface as well as images out of the brand database. Educational fund Archimedes use the brand at education fairs as well as for their Study Estonia program aiming to attract international students to Estonian universities and other educational institutions. The country's main points of arrival for tourists, like Tallinn Airport and the Port of Tallinn, are also branded according to Enterprise Estonia's materials. This year Enterprise Estonia is producing video and image material to introduce Estonia's business environment. Materials are translated also into German, French, Spanish, and Russian, and also developed for different topics such as studying and working in Estonia, healthcare, tourism, food, and science. Additional items such as presents and illustrations explaining cyber security and Estonia's digital state are also being worked on. Enterprise Estonia announced that they don't yet want to make the larger branding projects public that they are planning for 2018.